With a warehouse just minutes away from downtown Los Angeles, we’re centrally located and convenient to get to from anywhere in Southern California. 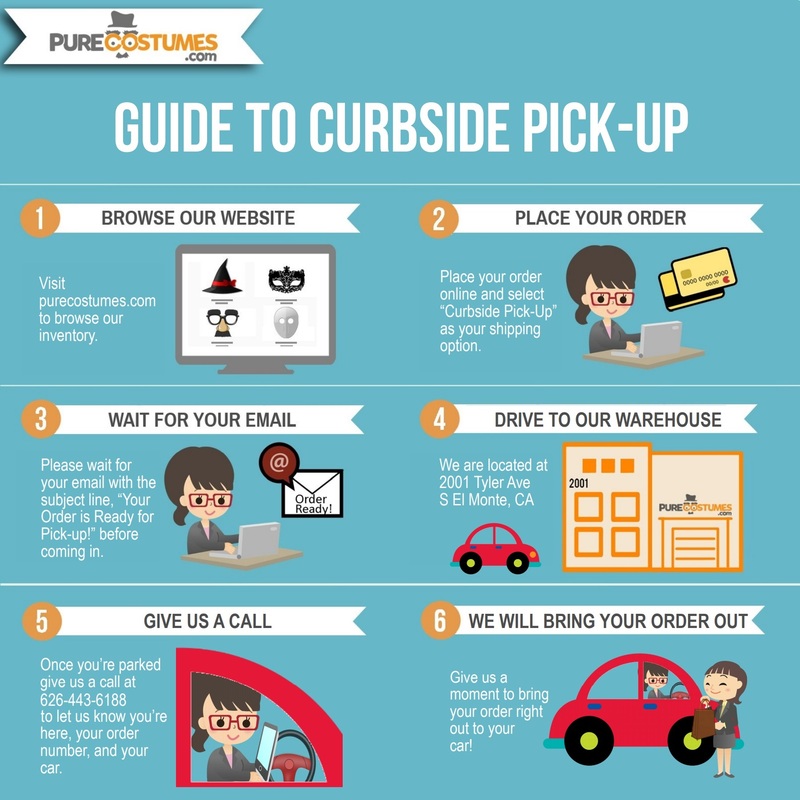 If you're in the Los Angeles or Orange County area and want to save on shipping costs or need a costume quick, simply place your order online and select Warehouse Pick-Up as your shipping option. Hours - You may pick up your order at any time during business hours once it's ready. Our warehouse is open from Monday through Friday, 8:30 am to 4:30 pm. Same-Day Pick-Up - All orders placed before 12:00 PM will be available for same-day pick up on business days. Any orders placed after 12:00 PM will be available the next business day.